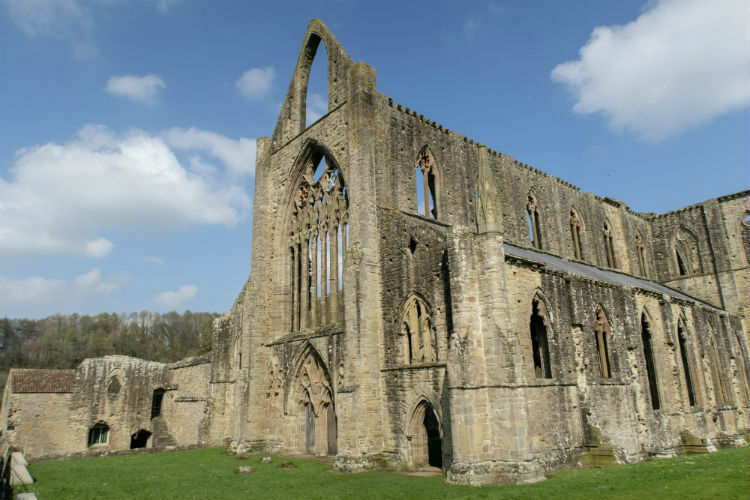 When I was heading home from the RHS Flower Show Cardiff recently, I noticed signs for Tintern Abbey along the road as we passed through Monmouthshire. Tintern Abbey is somewhere that I’ve wanted to visit for a long time. So we decided to make a short detour and take a look around. Join me as I look around the lodgings within the monastery, the chapel, and of course the main Abbey, including its stunning Great West Window. This beautiful Cistercian Abbey was built over the course of 400 years between 1131 and 1536. It was handed over to Henry VIII’s officials during the Dissolution of the Monasteries, and despite being open to the elements, it still remains a fantastic example of Gothic architecture. Walking around the ruins, you can imagine just how amazing it must have looked when it was intact.